Cathy has worked here as Practice Manager since we opened in 2000. Not originally from a dental background (she was lured in by the Boss!) Cathy uses her experience in retail and HR to allow her to understand the needs of both our patients and the dental team. 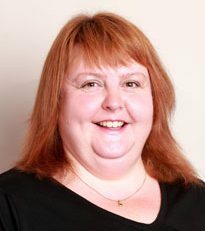 Aware that Dentistry is an ever changing business, Cathy knows that good sensitive treatment of patients who are cared for by a happy, highly trained team will always stand out from the crowd. Cathy is married to Ashley Davenport and they have two boys, two cats, two dogs, twenty odd chickens and two fish. When Cathy gets some time to herself she enjoys baking (with the radio on really loud) rock music and reading autobiographies on her Kindle.